Culture of Creativity: Ways to Celebrate Black History Month Around D.C. The Frederick Douglass National Historic Site is hosting its annual Frederick Douglass birthday celebration the weekend of Feb. 13-14. Black History Month isn't over yet! There are still plenty of local exhibitions, performances and activities keeping the celebration alive. Check out our list of local activities and events to expand your knowledge of black culture and history. Visit one of D.C.'s most popular museums to experience "1965: Civil Rights at 50," a temporary exhibit that explores the influence and dynamic of the media during the Civil Rights Movement. Spend your day exploring the compelling stories, historic images and memorable front pages that changed the history of America. Light 197 candles and get ready to celebrate the birthday of black reformer Frederick Douglass. 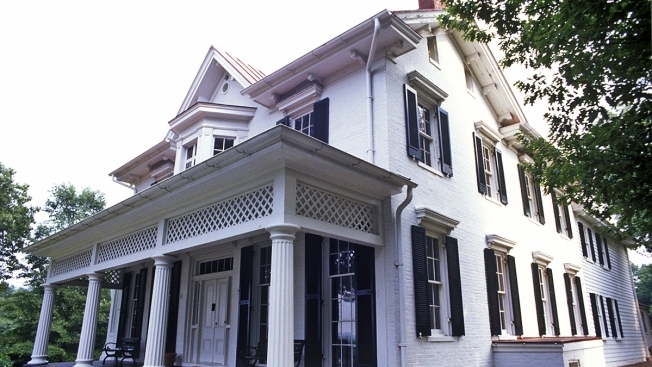 The Frederick Douglass National Historic Site (pictured above) is hosting its annual Frederick Douglass birthday celebration this weekend. Don't miss out on an array of activities including: a house party, historical trek, book signing, scrapbook workshops, house tours and more! Check out the celebration website to get all the event details. Climb on deck for an educational and entertaining midday cruise highlighting significant influencers and events in African-American culture. Listen to a variety of notable black artists including Duke Ellington, Marvin Gaye and Diana Ross as you cruise along the waterfront. Date: Saturday, Feb. 21 at 11 a.m.
Head over to The John F. Kennedy Center for Performing Arts to see the Washington Performing Arts Gospel Choir in action. The choir is bringing back the soulful music and energy it has used to celebrate African-American history for more than 20 years. This year's annual concert honors the life and legacy of Civil Rights pioneer Dr. Martin Luther King Jr. Date: Sunday, Feb. 22 at 7 p.m.
Each Saturday this February, Josiah Henson Park in Montgomery County is offering free entertainment and activities to celebrate Black History Month. Take a guided tour of the park to learn about Henson's journey to escape slavery on the Underground Railroad. You can also drop in for spoken word poetry or a viewing of PBS documentary "The Search for Josiah Henson." Date: Saturdays, Feb. 14, 21, 28 from noon to 4 p.m.
Black Movements Dance Theatre returns to the Davis Performing Arts Center at Georgetown University to perform their Spring Dance Concert in honor of Black History Month. Date: Friday, Feb. 27 at 8 p.m.; Saturday, Feb. 28 at 8 p.m. Attend a discussion and artistic exhibition about the collective African American journey at The Phillips Collection. "Struggle Series," a 30-panel collection by Jacob Lawrence, illustrates the common struggle experienced through a variety of events and scenes in African-American history. Discussion panelists include Professor Spencer Crew of George Mason University, and David Driskell, founder of the David C. Driskell Center at the University of Maryland. Date: Friday, Feb. 27 at 2:30 p.m.
Want to involve your children in Black History Month fun? Bring your kids out for a history rich and family friendly performance at the Smithsonian's Discovery Theater. "Bessie and Bill: Black Wings in Flight" tells the captivating tale of the first female African-American pilot, Bessie Coleman, and pioneer African-American aviator Bill Powell.